It may not be that clever, but with viewing figures of up to 13 million, it’s pretty big. As the 9th series of Strictly Come Dancing launches, can we call the outcome before we see the first fake tan go on the ballroom floor? It’s like this. You win Strictly because the viewing public root for you, that’s all. I’ve done some research on the fate of the previous 104 celebrity competitors over 8 competitions, and I reckon there are 4 key factors which significantly affect each celebrity’s chances of winning. When I’ve explained, I’ll give you my recommendations to win and lose. Age. The average age of all previous competitors is 40, but no-one over the age of 38 has ever won. Winner average age is 32. You can be too young as well as too old; there’s a specific window. Your general public is much more tuned into other equality and diversity issues - there’s no significant difference in chance of success between men and women or ethnic background - but age definitely matters. 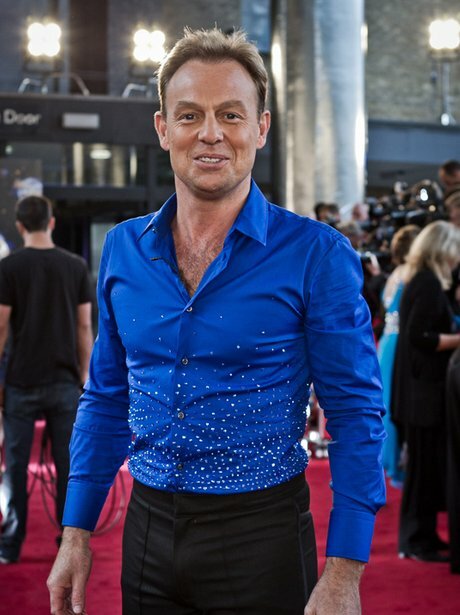 I’m giving the age window a nudge up a few years for Series 9 because there’s a more even, older spread overall, so I’m allowing Jason Donovan (43) a chance (he’s a perennial wide-eyed youngster to the adoring public anyway), but I’m eliminating 8 celebrities on age grounds alone. Sorry Nancy Del’ Olio, whatever you might claim, you’ve hit that glass ceiling. Background. Fact: the most successful group of competitors by far are young BBC TV broadcasters. Ever since Angela Rippon tapped her papers straight, glanced archly to camera and slid her nylon-clad pins from under the desk to showdance with Eric and Ernie, the British public have been obsessed by the hidden talents of our newsreaders. There aren’t any in this season, so that opens the field. Young actors and singers do well, statistically better than sportspeople. Think about it - performers train to put themselves across to others, whereas sportspeople train to be good at their sport. You do see nifty dancing from the rugby guys (fleet and strong) and the cricketers (smooth, great timing) but on balance I’d back a good looking soapie or popster. Dancing ability. Which is uncertain at the moment and we could be surprised. But I wouldn’t back a guy over six foot three – despite their many advantages, the tall blokes just don’t give good Latin on the floor. Sorry Audley Harrison, sorry Dan Lobb. From the trailers, Jason’s looking good, as is Harry Judd. Holly Valance should be a dream team with the magnificent Artem Chigvintsev and Alex Jones looks good with professional partner James Jordan (who must be really hungry for the trophy by now). The “ah” factor. Likeability really - that indefinable something that serves so well in any walk of life. Hint of a love story? Think about how many boxes Kara Tointon (series 8 winner) ticked last year, and she just couldn’t fail, could she. But you can’t overtly appeal for it – so Chelsey Healey doesn’t have it. Sweet boys with surprising flair will always do well (Tom Chambers, series 6; Matt Baker, series 7) - Harry Judd’s chances depend on this, so it could go either way. On paper, Robbie Savage looks better than Jason – but we all know how we feel about that. Holly and Artem? They will be great, but I just don’t think we want to see Artem win twice in a row and sweep another girl off into the sunset, it’s not polite. The “ah” factor is also responsible for keeping that comedy-element in; Russell Grant and Edwina Currie won’t go out straight away. I’m going with Jason Donovan to win (at 9/2), well-loved, decent, all-round appeal and looks like he’s a good mover. I think Alex Jones has a very good chance to make the Final 3 (around 16/1 on Betfair). First elimination? Which one will least make any kind of impression? I feel badly for him but I reckon at big odds it could be ex-tennis pro Dan Lobb who’ll duck out. Good luck, and keep dancing….